Let’s face facts. When we look for tightly focused content such as real estate listings, we generally seek out a search engine that will serve our search the best. When searching for a new home, an individual may begin his or her search at Google to find the real estate search engines, but once the niche search engine has been found, there is no need or desire to return to granddaddy Google. The real estate search engine will allow the individual to search through cities and neighborhoods, prices, features and pictures, to find just the house they feel might strike their fancy. 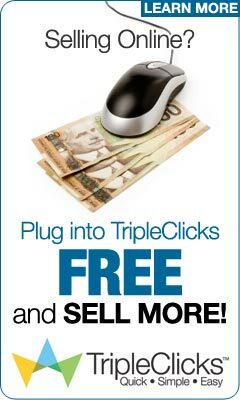 The pay-per-click “auction mentality” really kicks into hyper-overdrive in some industries. And the Big Three eat it up, as do their stockholders. Each day, they dance their way to the bank with your monëy in tow. * Blog-Search.com carries a PR6. * Search66.com carries a PR6. * GoArticles.com carries a PR6. * SearchWarp.com carries a PR5. * SitesOnDisplay.com carries a PR5. * SearchRamp.com carries a PR5. * MixCat.com carries a PR5. * TorontoMalls.com carries a PR5. * OutdoorHits.com carries a PR4. * FindYourForum.com carries a PR4. As you are already aware, the PageRank of a website that is pointing to your website plays a role in determining the value of your own website in the Google PageRank calculations, thereby increasing your chances of gaining ground in the Google SERP’s (Search Engine Result Pages). Yahoo, MSN, WindSeek.com, ExactSeek.com, and many others are making changes, improving their results, and trying to position themselves to compete toe-to-toe with Google or to compete for searchers not happy with Google’s search product (yes, there are actually people out there who do not like to use Google). These non-Google engines are currently serving millïons of additional searches a day or month. The Big Three: Google, Yahoo and MSN only served 73% of the Internet’s search traffïc in July 2005 (https://searchenginewatch.com/reports/article.php/3099931), and 81% of the search traffïc in November of 2005 ( https://searchenginewatch.com/reports/article.php/2156451). These percentages are based on a rough estimation of just over 5 billion searches per month. Even on the November 2005 numbers, search engines that are NOT in the Big Three are delivering 950 million searches per month. That is a lot of additional traffïc! If your search engine marketing activities are focused only on the Big Three, or even worse, only on granddaddy Google, you are throwing away anywhere from 20% to 53% of your potential customer base! Sure, it might take a little bit more time to get listed in these smaller resources, but if you calculate how much time you spend developing your positioning in the Big Three, then it really is not that much of a time investmënt after all. The smaller directories can help us to improve our Google PageRank. They can help us to get more mileage from our advertising dollars than what we can get from the Big Three. They allow us to tap into additional sources of targeted traffïc with a real potential for increasing our salës and profïts. And, the best reason to use the smaller search engines and directories is that they actually serve another 950 million searches a month. Bill Platt is the owner of thePhantomWriters.com (https://thephantomwriters.com/x.pl/tpw/index.html) Article Distribution Service. He has been ghost writing for clients since 1999, and he has been distributing client articles since 2001. Bill regularly maintains his database of submission resources, and he applies the human touch to every article distribution. By reviewing every article and manually selecting where it will be distributed, publishers and webmasters trust that he will send only the most appropriate articles to them.